Hurry and go clip this SavingStar coupon to get a totally FREE 3 oz. StarKist Tuna Salad Pouch after your SavingStar credit. Offer is only valid through 4/17, so be sure to use it before then. Amazon is offering a FREE Kindle download of Paleo Slow Cooker: Delicious Crockpot Recipes For Busy Families right now. 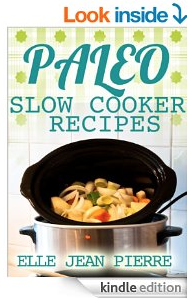 In this collection of Slow Cooker Recipes, classic home cooked favorites are simplified with the help of a Crockpot. A staple in many kitchens around the world, a slow cooker simmers ingredients in one pot to allow flavors and ingredients to meld into a gourmet-quality dish. If you haven’t checked your Jingit ads lately, here’s a heads up that I discovered a new ad in my account just now from Famous Dave’s worth $0.15 and another ad from Bfast Shakes for $0.10. If you are new to Jingit, click here to sign up. Not familiar with Jingit? Find out more about my newest favorite website for earning ‘free money’ here. Looking for more ways to earn FREE stuff online? Click here. Earn a FREE Star from Starbucks Rewards when you log in to your Starbucks Rewards account, scroll down and click on the Green “Start Now” Button. Then download the Starbucks report and wait until it is fully downloaded. Once it downloads, you’ll be able to enter your email address to have a FREE bonus code sent to you. Note: It can take up to 24 hours for the bonus star to show up in your account. Looking for more FREE Stuff Online? Click here. 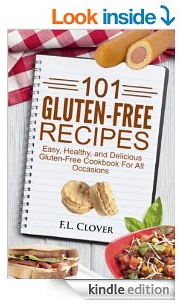 Amazon is offering a FREE Kindle download of Gluten Free 101: 101 Gluten Free Recipes right now. Gluten free cooking can seem intimidating, especially when you first make the switch, but this collection of 101 gluten free recipes will ease the transition and help you cook with confidence again. Whether your health demands it or your health-consciousness is leading you to a diet free of gluten, this versatile collection of delicious gluten free recipes can jump-start your new approach to food! 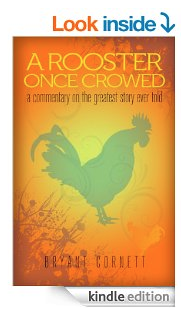 Amazon is offering a FREE Kindle download of A Rooster Once Crowed: A Commentary on the Greatest Story Ever Told right now. Small decisions made today establish our path for all time, and yet we piddle with a piece of this and a taste of that. We diet on wisdom from antiquity and gorge on culture that is next month’s joke. This story is an opportunity to gorge on Scripture, from Genesis to Revelation, in context. It is the Gospel of Jesus Christ and an opportunity to see for yourself what it actually is, rather than what we mold it to be, and to finally choose whether or not to care. 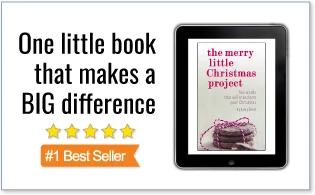 Through small stories and a modern context, this book will help you understand and decide what you believe about the greatest story ever told. 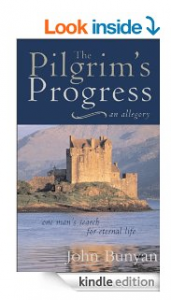 Amazon is offering a FREE Kindle download of The Pilgrim’s Progress: One Man’s Search for Eternal Life right now. Swagbucks Sign Up Code 2014 plus 500 Bonus Swagbucks! Update: There is a NEW 500 Swagbucks bonus offer for new members here. If you haven’t signed up for Swagbucks yet, now’s your chance. 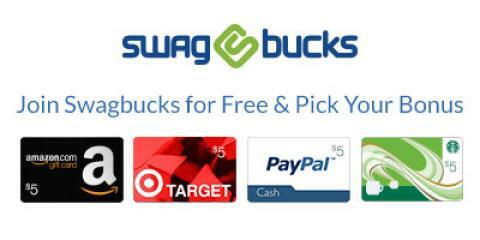 Among all the other ways to earn SB for gift cards, you can also earn back Swag Bucks for every dollar you spend shopping online via Swagbucks Shop & Earn. But that’s not all I’ve got — here’s an exclusive way for you to get even more bonus Bucks: If you sign up for Swagbucks through my link here anytime between April 7th – May 7th, and make a purchase of $25 or more via Swagbucks Shop & Earn, you will get a 500 SB Bonus! That’s enough for a $5 gift card, in addition to all the Swag Bucks you earn from your online shopping purchase. 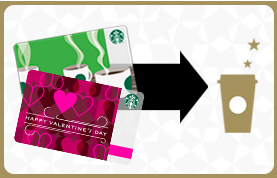 Even better, use my exclusive code CHACHING70 to start off with 100 FREE swag bucks! Just look for the text, “I have a sign up code.” to earn 70 SBs and then complete your profile to earn an additional 30. I’ve used Swagbucks for over four years now and have earned hundreds of dollars in FREE gift cards. You can do the same! Please note that your bonus will be credited only after your Shop & Earn Swag Bucks are credited, which can be up to 35 days after the date of purchase.